A “Winter Journey” in the company of Schubert delivered with consummate elegance by tenor Mark Padmore. 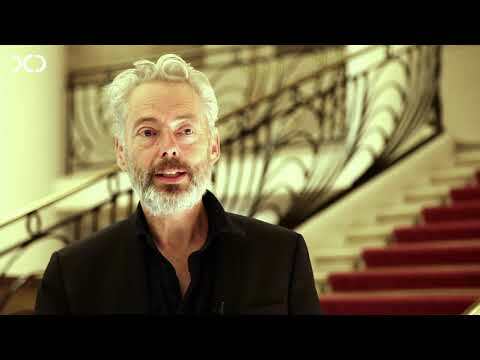 William Christie and Philippe Herreweghe launched the career of British tenor Mark Padmore, who was artist in residence with the Berlin Philharmonic Orchestra last season. He performs one of Schubert’s last masterpieces. The composer was only a few months away from death when he discovered the poems of Wilhelm Müller. His popular, simple poetry, focusing primarily on nature, struck a chord with the composer who distilled anguish and chaos, monotonous and hypnotic marches, irony and meditation into a handful of lieder. In 1993, the German composer Hans Zender wrote a very beautiful orchestration in which you can identify instruments such as the accordion, harmonica, harp, guitar and wind machine, as well as a wealth of percussion. Cookies and plotters improve your experience on the website.